After James is sworn in as attorney general, the mayor must set a date for a special election within three days. 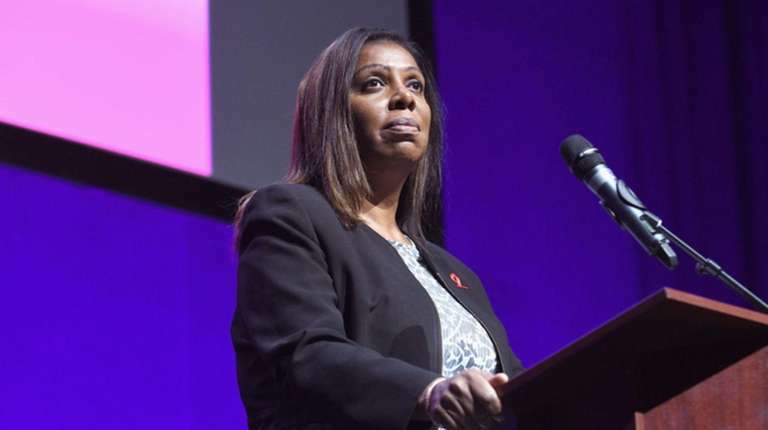 With Letitia James’ victory in the New York attorney general race, New York City will hold a special election for public advocate, the role James will soon vacate. James has been the city’s public advocate since 2014. Since she is leaving before her current term is complete, Mayor Bill de Blasio will have to call a special election, according to the city’s election laws. Within three days of James being sworn in as attorney general on Jan. 1, 2019, the mayor must set a date for the election. It will likely be set for mid-February. There won’t be a primary, and anyone who secures enough signatures and files their ballot petition within 12 days of the mayor’s announcement, will be on the ballot. The winner will serve as public advocate until at least Dec. 31, 2019, but would have to campaign again in the normal election cycle. Primaries and the general election will take place in September and November, respectively. The winner in November will serve through 2021, the end of James’ current term. Several former and current politicians have expressed interest in running for the role, including Brooklyn Councilman Jumaane Williams, who ran unsuccessfully for lieutenant governor earlier this year. Letitia James becomes NY's 1st black attorney generalJames' victory opens the door for a special election for NYC public advocate. How the 5 boroughs voted on TuesdayCuomo swept all five boroughs, according to unofficial Board of Elections results. Cuomo wins third term as New York's governorCuomo's win means another term for Lt. Gov. Kathy Hochul as well.